FORM garden architecture Ltd. was created by award winning landscape architect, Craig Wilson, after 15 years working for two high profile Christchurch based landscape design/build companies. Craig’s portfolio from this time includes an extensive range of residential and commercial landscape project work throughout New Zealand. 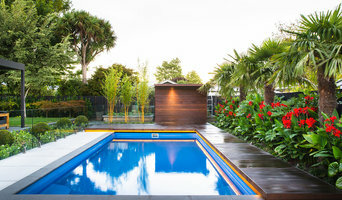 His design work has received numerous national industry awards and has also been associated with several New Zealand Master Builders Outdoor Category National Awards. 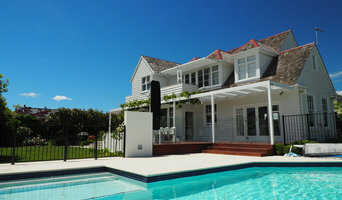 Texture Group Landscape Design and Construction is one of the leaders in contemporary landscape design in New Zealand. Their award winning team consists of Landscape Designers, Landscape Architects and construction specialists who will ensure you get the landscape you have always dreamt of. With their extensive knowledge and innovative use of hardscaping materials they can create you an amazing design that will enhance both your property and your lifestyle. Combined with the many years of experience with the Texture Plants Garden Centre and Lush Lawns Turf Company, Texture Group will create you a landscape that won’t just survive but will thrive. Xteriorscapes are a Landscape Architecture practice specialising in quality design for residential and commercial projects. From our Christchurch based design studio, we enjoy working closely with clients, consultants and contractors throughout Canterbury and across New Zealand. We pride ourselves on great relationships: listening to and understanding our clients is critical, leading to a creative, practical and personalised design solution. Working as a tightly-knit team, our design responses bring together the client's brief, the site's unique characteristics and a creative spark. Ready to redefine your landscape? When your landscaping reflects your tastes & lifestyle it allows you to get the most out of your home & property. We understand that everyone’s ideal landscape and garden will look a little different. It could be a built-in BBQ to entertain with family & friends, a lush haven to retreat to at the end of a long work day, or a pool for your family to play and refresh in. For this reason, our landscapes are bespoke to you. They are created to draw you outside, and give you a reason to relax and stay a while. Add value to your lifestyle & property, with timeless gardens and outdoor living spaces designed to complement & enhance your home. Engage expertise. Team up with us. One Square Rate Landscaping is a Christchurch based company that carries out all aspects of landscaping in-house from design to construction. We also specialise in Hydroseeding and lawns. Fully qualified Landscape Architects and experienced, friendly trades people work together to produce a seamless, full service for you. Our expertise and passion is designing and constructing outdoor spaces that add value to your property and lifestyle. A name synonymous with landscaping and craftsmanship, Artworks Landscape Ltd has been delivering stunning, quality gardens in Christchurch for more than 25 years. Established in the 1980s, Artworks Landscape is a landscape design and construction company with a strong history of excellence. With our team of dedicated and professional architectural landscape designers and landscapers, Artworks has grown to be one of the largest and most reputable landscaping companies in Canterbury. Years of hard work and careful attentiveness to the needs of the homeowner have established the Artworks reputation for crafting architecturally elegant and timeless gardens that exceed client expectations. Specialists in both commercial and residential landscape design and construction, we work on all gardens at any stage of construction. Experienced in both small and large landscaping projects, Artworks can create custom landscapes for new homes, enhance existing gardens to achieve contemporary and functional design and manage the maintenance and planting of well-established mature gardens. The team at Artworks Landscape will work in partnership with you to consider every aspect of your home and your environment and to ensure your landscape reflects your personality, celebrates your home style and works with your lifestyle. Gunn Design is a specialist landscape design and construction practice. We take a hands-on approach to every project we work on. The ability to construct what we design means that we are very responsive to client input. As a project progresses we can easily incorporate client feedback into the finished design. We are based in Lyttelton and have been predominantly servicing the Christchurch, Banks Peninsula and broader Canterbury region for over 10 years. 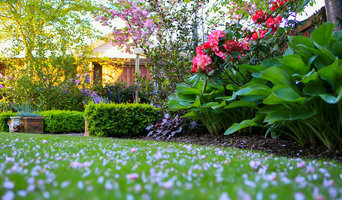 We are a Landscape Architecture firm based in Christchurch, New Zealand, specializing in residential landscape design. We create the everyday extraordinary! Canopy Landscape Architects have extensive local and international experience that enables us to give you the best possible landscape design advice. We are passionate about all project scales—including formal and informal garden design and entertainment areas. That’s why our catch-phrase is “creating exceptional spaces”. There are many layers of depth to landscape architecture. From creating the picturesque, the formal and functional through to enriching the ecology of the land and providing better connections. There is also aiding in interpretation of cultural landscape and creating memorable spaces that may become culturally significant. The Canopy team is a collection of very experienced landscape architects and urban space designers. We have a broad range of expertise gained through extensive national and international experience and are currently working on projects throughout New Zealand. We are a vibrant company utilising the latest technologies to achieve the best result for all projects. Attention to cultural, biological and environmental layers ensures that the spaces we create are exceptional and memorable. Our extensive experience has given us the knowledge and expertise to take your project from conception to completion within your preferred budget and time constraints. Our key focus is on creative landscapes with robust environmental outcomes using innovative design and planning techniques. We take a collaborative approach, ensuring a comprehensive internal critique to achieve the best possible design results. We would love to help you design new outdoor spaces for your home. Tell us how you would like to use your property and we will draw up a concept plan and manage the process through to finished design. We have great relationships in all aspects of residential design from plant nurseries and product manufacturers through to landscape construction firms. The business of our company is landscape architecture, urban design and land use planning. Our objective is to balance landscape philosophies and values with modern design and planning, so as to enhance each project and add value to our clients’ business. We take our cue from nature itself. Many of our projects are designed within a regional context which is reflected in the special treatment and selection of materials evident in the chosen design solution. The use of indigenous materials within modern design provides a vivid and permanent reminder of our own landscape and creates a sense of belonging for people and buildings. Our company is frequently invited to become part of multi-disciplinary teams endeavouring to achieve a shared design goal through collaboration. This blending of landscape knowledge and expertise in allied disciplines invariably leads to the adoption of well grounded design principles, ultimately reflected in an harmonious and successful end product. Specialising in lifestyle blocks and residential, I am an original West Coaster (Hokitika) with a passion for designing you an outdoor area with a unique style to suit you! Our work is characterised by strong bones, structure and symmetry with a measure of understated elegance. We tailor our design briefs to reflect the client's personality, fit the client's lifestyle and look good all year round. For us, lighting, sculpture and furniture are also important ingredients and our skill at integrating these concepts makes us one of the leading landscape designers in New Zealand. 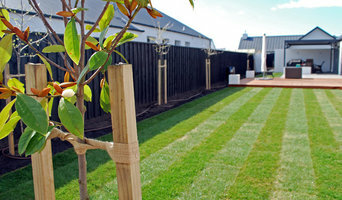 LawnsandLandscapes is a small Christchurch landscape design & landscape construction team. Not wanting to get bigger but always striving to get better. DWG landscape architecture offers professional services in all aspects of landscape design. Offering clients a complete landscape design service, DWG can design, tender and project manage your garden design project from start to finish. 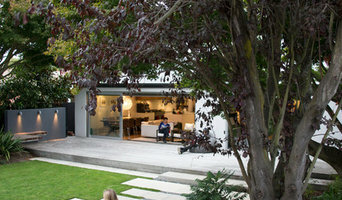 Houzz is a great place to start your search for the right Christchurch, Canterbury, New Zealand landscape architect or designer. You can either browse outdoor photos and find professionals linked to them, or you can browse our professional directory, see their latest projects, read reviews, and narrow down your search based on your style preferences. Once you’re down to a few, reach out and get some quotations to make your final choice.